Day of Remembrance is an annual observance that takes place in many communities throughout the United States to commemorate the signing of Executive Order 9066 on February 19, 1942 by President Franklin Roosevelt – ultimately leading to the incarceration of 110,000 - 150,000 Japanese Americans during World War II. 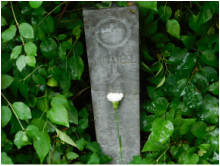 This is an event to honor the Issei and Nisei, first and second generations, of our community who paved the way for future generations of Sansei and Yonsei, third and fourth generations. We have the quality of life today and the opportunities to pursue career choices and post-secondary education that were not options for many family members during the first 50 years of the 20th century. 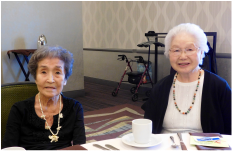 We usually have a guest speaker, some Japanese themed entertainment and a buffet and is free to any Japanese community person age 70-1/2 or older whether they are a JACL member or not. A short program will be held starting at 2 pm. 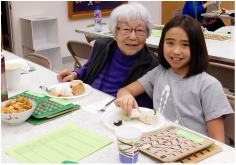 This event is held in the fall and it is a time for JACL members to get to know each, play ice breaker games, and to be thanked for continuing to be a Spokane Chapter JACL member and for supporting our events and being active in the Japanese Community. This event is for adults only to play bingo for very small cash prizes with light refreshments served and cards are $2 each for the whole evening. JACL members are free to attend and non-members are $10 each. See our calendar for details. 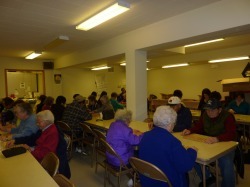 This is a family friendly event where children and adults are welcome to come and play bingo for a gift card where they may purchase a turkey for Thanksgiving. Cards are $2 each for the whole night.